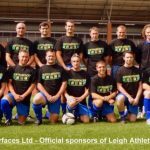 Why You Should Sponsor Leigh Athletic FC? The club has won many major trophies over the years, the first notable one in 1965 Atherton Charity Cup. 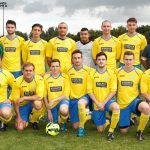 The 1990’s brought the club its most successful decade, under the management of Ted Roberts winning the Lancashire Amateur Premier League five times in six seasons and the League Cup twice. The treble was completed in 1998 as the prestigious Wigan Cup was added. Since the turn of 2000 the fortunes of the club have varied. With two relegations, followed by two instant promotions and league victories. 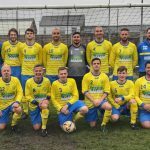 Two additional cup wins and numerous final appearances since 2002, the club has yet again built a strong following and base of talented players to push forward in the coming years. If you are not aware of the benefits all this social media will provide with social signals, traffic and brand awareness then register to this webinar https://goo.gl/fttHcs which can train you up on SEO and marketing techniques. Majority of growth hacking strategies now are done on the internet and today we are in the digital age. These points above all help your business grow your brand and google loves to see traffic and backlinks to your websites. 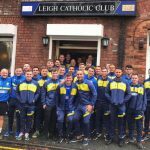 How Much Is It to Sponsor Leigh Athletic? We do not have set amounts so any small to large business are able to sponsor us. Obviously the higher the value then the more brand exposure that company will get but we can start from as little as £30 to sponsor an individual player where when the score or get man of match will be mentioned with your brand in the match reports. Then upto 2k which gets full exposure on the website banners, social media channels, regular mentions in all statuses and players sharing the brand regularly to make this worthwhile for the companies willing to put money in their piockets. We want all our sponsors to return year on year so it is in our interest to make sure the sponsors get return on investment from this agreement.